When I was little and wanted a snack I would grab a half and avocado and a little tin of soy sauce. I would sit outside on a warm day with a spoon, my avocado and my soy sauce. It’s funny how certain foods can really take you back to your childhood and avocados do it for me. Growing up in California avocados literally do grow on trees. We always had friends gifting us with huge bags of avocados so I found myself snacking on them on a regular basis. My parents weren’t really the type to whip up guacamole so I grew up eating avocados and soy sauce instead. Great food doesn’t have to be complicated or require a ton of ingredients, and this is my favorite way to enjoy avocados. 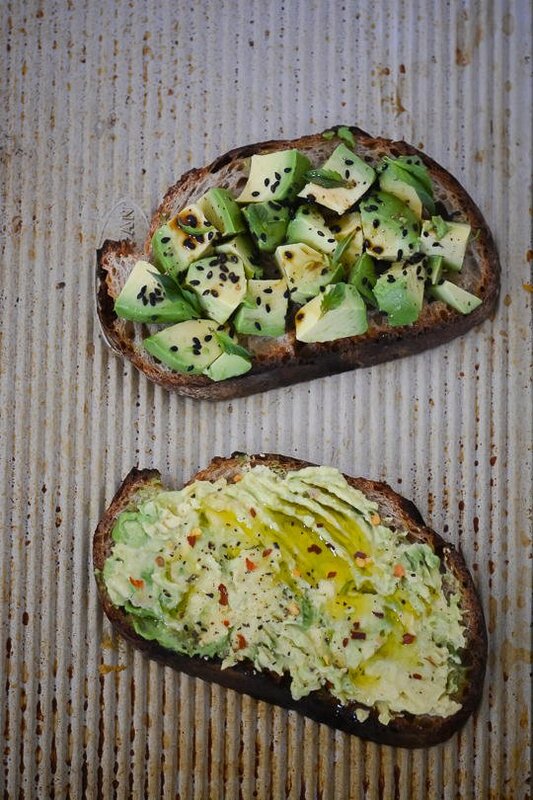 Grab some really great quality bread, slather it with lots of fresh avocado and top it with a little soy or olive oil. Since these are so simple use the best quality ingredients you can find. Have a great weekend! 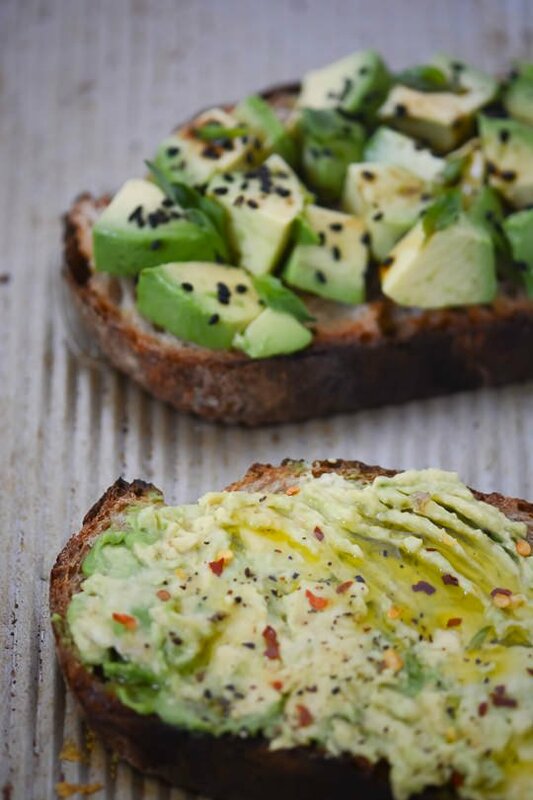 For a super easy snack or light meal grab some great bread an avocado and a splash of olive oil or soy sauce. Lightly toast the bread. Layer the avocado over the top or lightly mash with the back of a fork. For the soy sauce version, drizzle the soy sauce over the top, sprinkle with the sesame seeds and basil. 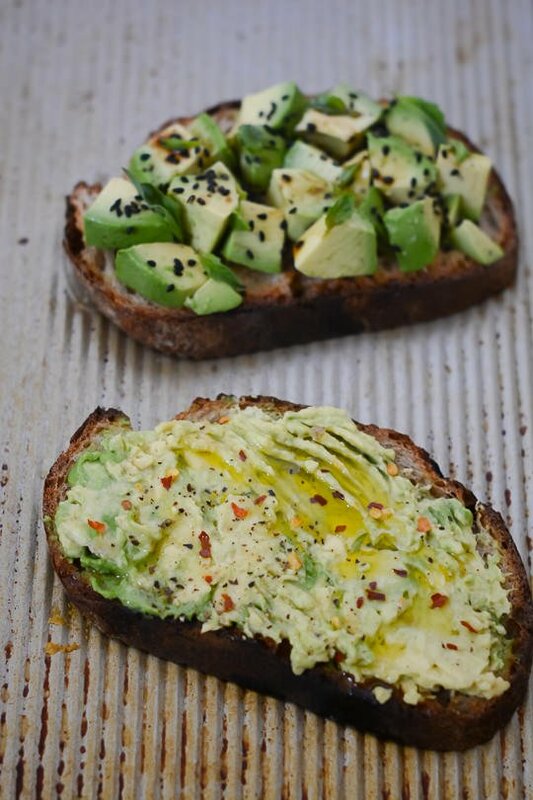 Toast topped with mashed avocado, sea salt and sriracha is one of my very favorite things. When I have a lot of avocados on hand, I’ll eat it for breakfast and lunch. I’ve never thought of using soy sauce. Will definitely be trying that! Avocado with Soy Sauce is also great on rice. I totally agree with you there. I love having a bowl of rice with some avocado, sesame oil and soy sauce!